The powerful, yet compact Hi-Fi 2 plays music from devices you already own (or those you wish to purchase), and is so easy to operate that anyone can enjoy it. Installation is simplified with a built-in amplification unit mounted in a structured wiring enclosure. Additional amplification can be added for great rooms. The Hi-Fi 2 accepts local and remote inputs (in addition to optional Bluetooth), and each room can be controlled with either an in-wall volume source control or a smartphone/tablet that allows for control of power, audio source, volume, bass, treble, balance and more settings. 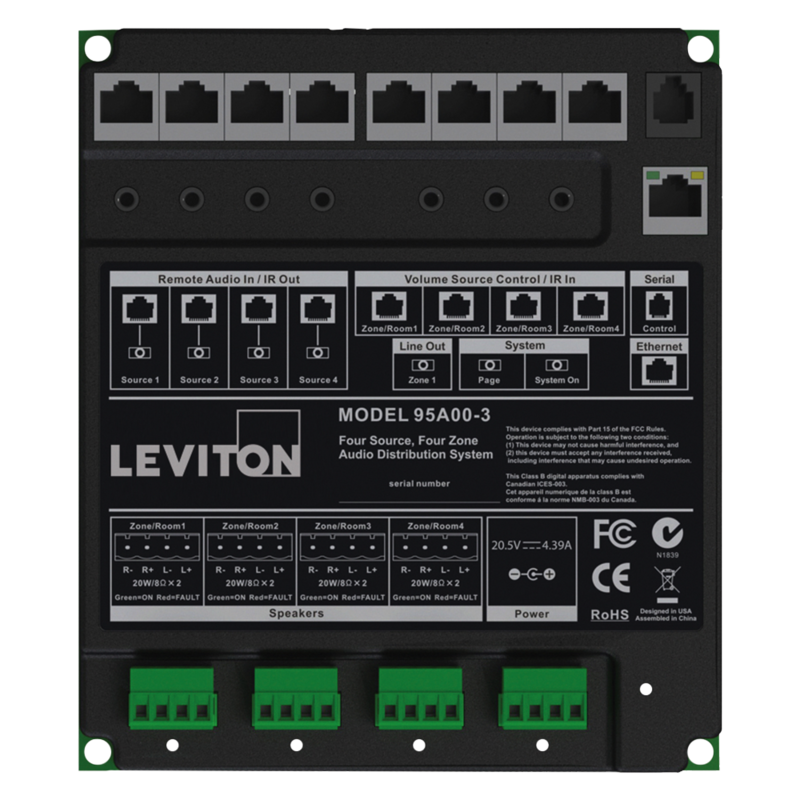 Wiring remains simplified with Remote Input Modules and Volume Source Controls using Cat5e wire. Two Models are available, the Hi-FI 2 Eight Source, Eight Zone (expandable to 16 Zones) 400W System and the Four Source, Four Zone 160W System. Control - Control your whole house music system using CasaTunes native Apps for Android and iOS smartphones and tablets, a browser, or the existing Leviton/HAI keypads. Music - Listen to disc, networked, and Internet based music, including premium music services such as Deezer, Microsoft Groove, Pandora, SHOUTcast, Slacker, Spotify, Tidal, TuneIn and many others. Disc Storage for your music collections - The CasaTunes music server includes up to 1TB disc for storing your customers music collection. AirPlay integration - Every room and room group is setup by default as an AirPlay target. You can stream music from any music App running on one or more iOS devices to any room or room group in the home, without even having to use the CasaTunes App. Multiple music streams - You can have up to 4 different music streams playing at one time. AV Receiver Integration - You can easily integrate most popular AV Receivers into your whole house music system without requiring any additional specialized hardware setup. Simple setup - Just connect the supplied cables, run CasaSetup and full integration is complete within minutes. 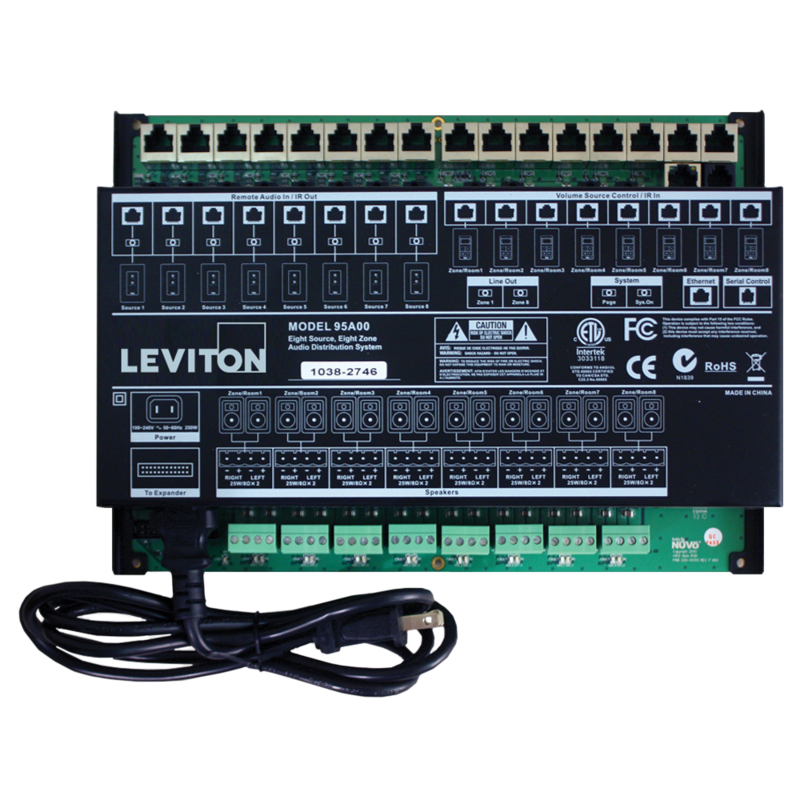 To learn more, please see our Leviton Setup Guide.